Lindsay Sorbo, MA, LPC received her Master’s in Counseling in 2013 from the Assemblies of God Theological Seminary. She majored in Intercultural Studies at John Brown University and graduated with her Bachelor of Arts degree in 2009. Lindsay is a Licensed Professional Counselor in the state of Missouri. Before coming to Ozarks Technical Community College, Lindsay worked in private counseling practice in the Springfield area. Lindsay’s clinical focus included in-home counseling services with children and families, ongoing communication and collaboration with case managers and family support teams, and advocacy. Lindsay came to OTC in 2016 to work as a counselor at the OTC Lebanon Center. Her role at OTC Lebanon included supportive services that assisted students in succeeding both academically and personally. Lindsay’s experience as a practitioner in the behavioral health community and her experience working with students to reach their potential will be key components in her contribution to the program. 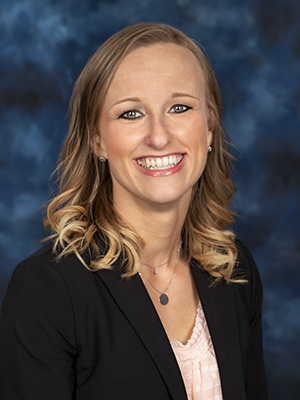 As the Practicum Coordinator and Instructor, Lindsay looks forward to assisting students with practical, hands-on training that will prepare them for careers in the behavioral health community.